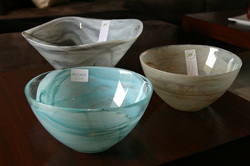 100% Recycled glass, hand-made in Spain. 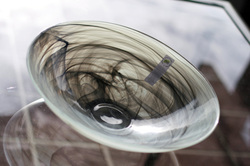 Each piece is unique, with individual colours and swirls formed within the layers of glass. Use individually, or gather together as a collection. Suitable for food use, hand-wash only. 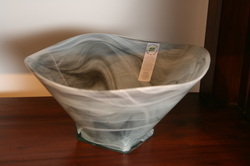 Square base with rounded rim.